I made this detox plan recently for my daughter and we have done it together for 5 days (you can do it anywhere from 1 to 7 days). I do recognize that the detox is highly controversial so I am simply sharing our experiences. The detox protocols that involve only juicing seemed too bland and difficult for her to follow so I had to think of something that contains more variety and somewhat “resembles” to regular eating day, but at the same time stick to the most of the serious detox protocol requirements (I don’t believe in quick 1 day detox programs that begin on the first and end on the same day). The “BRAND NEW ME” detox protocol is targeting the full “reset” of the digestive system, bowel/liver and colon cleanse and light heavy-metal cleanse. I used some inspiration from different detox protocols I have read about and tried over years and fine-tuned it to suit some of our particular needs. The fruits, vegetables, supplements etc. used in this program are all carefully chosen to provide the maximum nutrition whilst achieving the detox goals. The protocol involves 1) Preparation phase, 2) Actual Detox (1 to 7 day) and 3) Maintenance phase. The protocol is based on consuming juices and vegetable broth mainly, NO solid food is allowed. Whilst this protocol is not meant for losing weight, you will, as a bonus 🙂 naturally lose some, typically a kg a day. Plus you will enjoy your brand new radiant look in the mirror and having much more energy than before. Please remember that you should avoid starting any detox regimen when you are sick. In any case it is necessary to consult your healthy practitioner before undertaking any detox program. 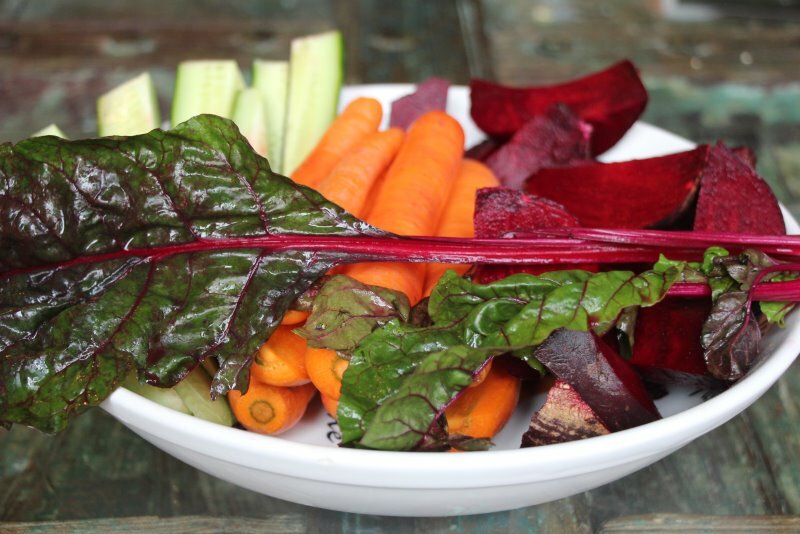 Before Doing Any Detox, You Need To Optimize Your Diet. Many people start a detox after long indulging in an unhealthy diet high in sugar and processed foods, expecting to clean the mess by doing one day of detox, then then continue as usual. It would be great if it is that easy, but it is not as we all know. Decision to do a serious detox for the first time should come along with a firm determination to switch to healthier eating and lifestyle afterwards. It is important to realize that detoxification is a marathon and NOT a sprint and that you should be doing it from time to time each time revising your needs and prolonging it gradually. This is also why the preparation phase for detox matters. And this is why the maintenance phase after the detox, matters even more, as eventually the maintenance phase prolongs and becomes your new lifestyle. Significantly increase the intake of vegetables and fruits. Best to start juicing if not already done. Consume at least one big glass of juice a day to get used to the detox and hopefully continue this practice after the detox and beyond. You would need a good mid-priced juicer, I have a Samson and very pleased with it. Eliminate the inflammatory and allergenic foods: dairy, sugars (especially HFCS), gluten, corn, processed and packaged foods, fast foods, most glutinous starch and grain. Gradually step back and stop your caffeine intake before the detox begins. Your diet should be low in carbohydrates, moderate-to-low in protein, and high in beneficial fats (olive oil, flax oil, coconut oil, avocado, ghee, raw butter). To they help your body detoxify metals, eat food rich in zinc and selenium like good quality fish/meat, spinach, pumpkin, nuts and seeds. Start introducing the heavy metal binders. A good binder for heavy metals is chlorella. Please start slowly, using cilantro/coriander first (around 400 mg) and work up chlorella slowly and gradually. Other binders you may use are clay/zeolites. Going to (infrared) sauna is also great, as your tissues get heated deep, which enhances your metabolic processes, circulation and oxygenates tissues. Carefully review the entire detox protocol and get all what you need on time. I enclose the list of all recipes, shopping list along with supplements and list of things you will need HERE. 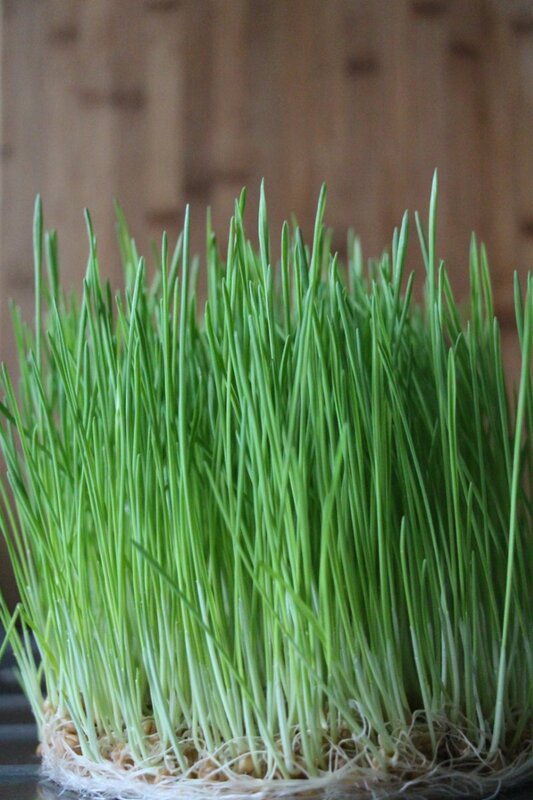 In case you don’t have access to fresh wheat grass, 6 days before the detox, you should start growing your own wheat grass so it is ready for consumption during the detox. You will be drinking around 3+liters of liquids during the detox. During the detox salt is not allowed, but feel free to add spices such as pepper, fresh mint, basil, oregano, chives, or thyme. Remember to soak almonds overnight, the night before. Plan your exercise carefully. Exercise that produces perspiration, saunas, and steam baths, all is good. At minimum, it is required to participate in mild to moderate exercise, committing to at least 30 minutes of moderate cardio each day, such as walking, jogging or swimming. The detox daily routine will involve quite some preparation time for juices and broth. You will see what works best for you, for example I like to prepare juices and broth during the morning. Here is the list of things that you can prepare in the morning. Prepare your Juice No. 1, You’ll need around 1.5 liters of juice no.1 for the day. Wash well all veggies and fruits, don’t peel. Store them in the refrigerator in glass containers for one day. Prepare your lemon water and/or ginger/lemon tea for the day. Fresh, pure filtered water should always be at hand. Prepare your vegetable broth for the day. You’ll need around 1 liter of broth. Best to start preparing it after taking a first juice in the morning. The rest of juices, teas, “deserts” you need to prepare during the day. 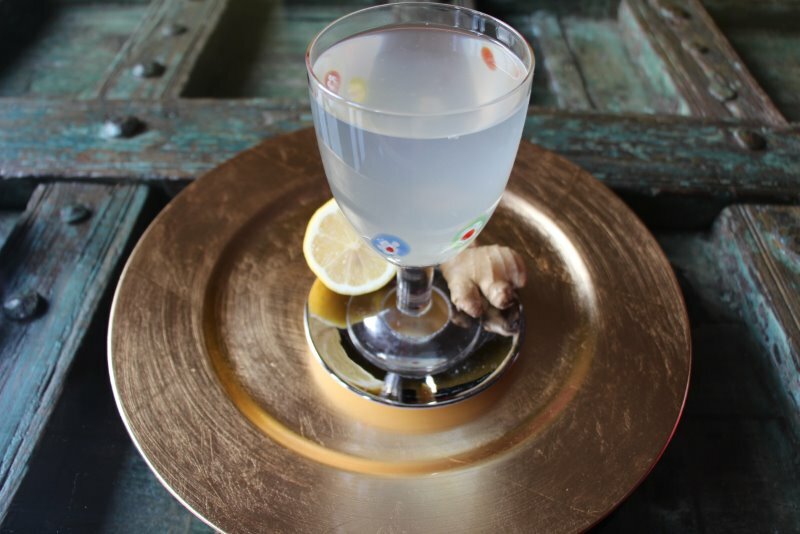 Start each day off by Ginger Lemon Tea* or lemon water (big glass of warm water with juice of half a lemon). Take a teaspoon of coconut oil (or a tablespoon if you are used to it). Take a 0.5l of Juice No. 1 Miracle Drink*. Go for a 30 min. walk. A big glass (0.5l) of Juice No. 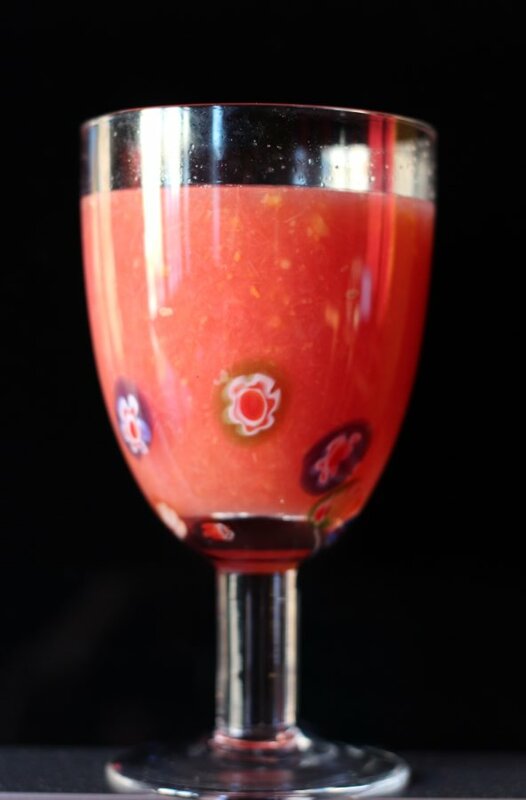 1: Miracle Drink*. 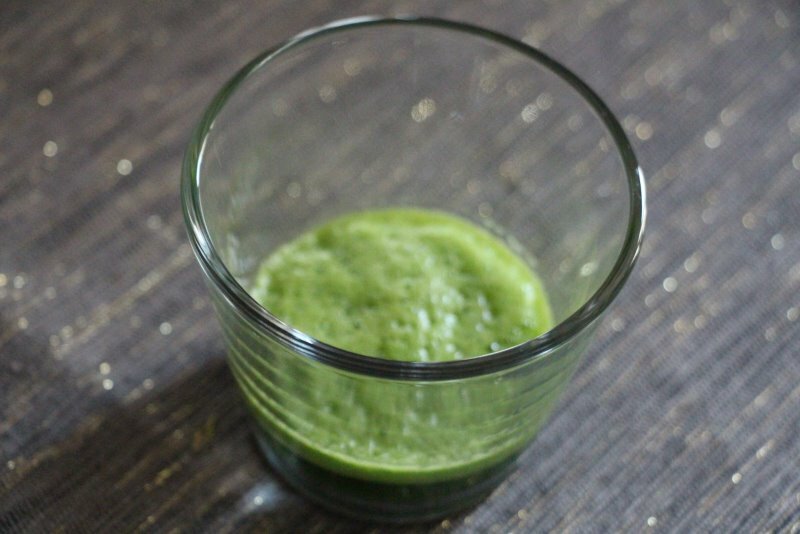 Wheatgrass shot (start with 30ml). Moderate exercise or walk 20-30 minutes. Enema time (only on the first day). A big glass (0.5l) of Juice No. 1 Miracle Drink*. 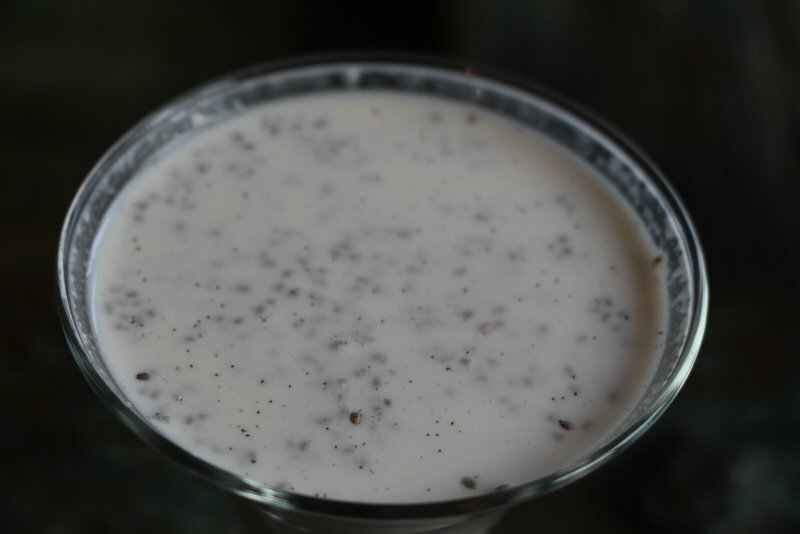 Snack: 1 cup of Vanilla/Cinnamon Almond Milk* or Coconut Chia Pudding*. Drink a soothing chamomile tea. Take supplements each night before bedtime with a full glass of water. Make sure you get ENOUGH restful sleep! *All “BRAND NEW ME” Detox Protocol recipes and shopping list can be found here. The first two days are typically the hardest. For me the first day was hard and I was obsessed with what I am going to “eat” (drink) next. Somewhere around 6 p.m. suddenly the hunger was gone and never fully returned in the following 4 days. For my daughter first two days were hardest and the rest went better, but not totally smooth, and we had to manage end-of-day cravings. If you really, really need it you can make a smoothie of half banana with some other fruit like apricots, blueberry, mango etc. etc. add some pure coconut water or unsweetened, pure coconut milk. Alternatively take another cup of almond milk. 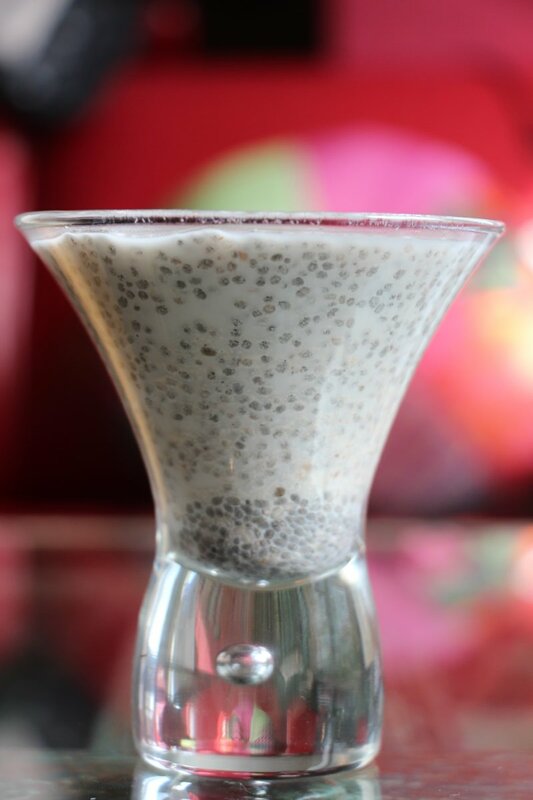 Alternatively you eat another coconut chia pudding. No, you can’t just go out and eat a cake 🙂 First few days you should be slowly introducing some solid foods and slowly going back through the similar regimen as described in the preparation phase. Most of the supplements should be continued after the detox, especially chlorella (around 2 months), probiotic, vitamin C and Omega 3. 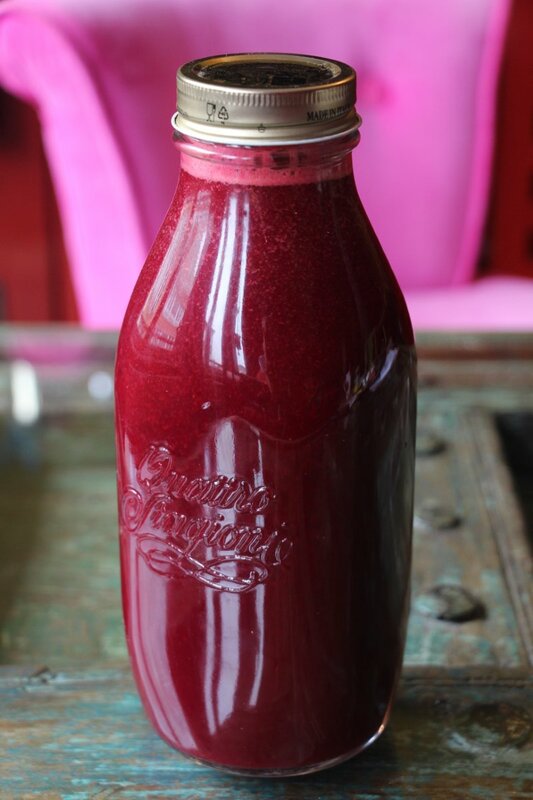 The practice of juicing (a big glass of juice a day) should become a daily practice. Make sure to keep carbohydrates/sugar under control, eat plenty of vegetables and fruits and take care of good quality protein and healthy fats intake. A bunch of healthy and QUICK recipes for your inspiration can be found in foodinlove’s recipes library here. And if you managed to get here, yes, you are on the right way to longer and healthier life, congrats!